Tomorrow, my little Queen will be ONE YEAR OLD !!!!! We have made it a whole glorious year. I can not believe a year has passed. She has grown into a beautiful little spirit. She has the right balance of sweet and fiesty. Lol. I can not wait to kick off the celebration which will culminate with a trip to Disney’s Animal Kingdom with my whole family !! I am beyond blessed to be the Mommy of this little angel. She is definitely my mini me. 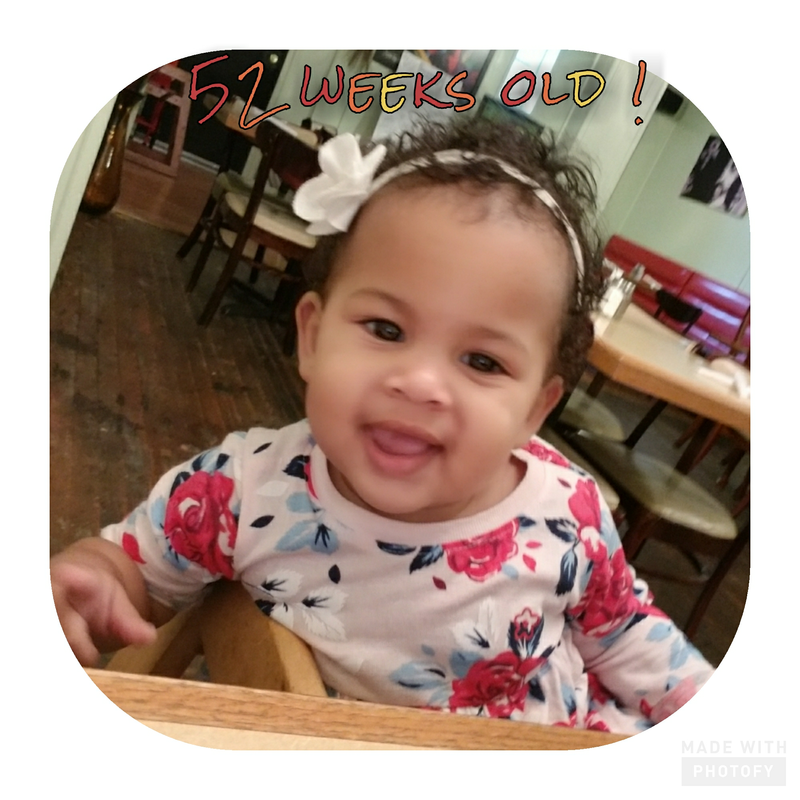 My toothless little Queen is officially 51 weeks old ! 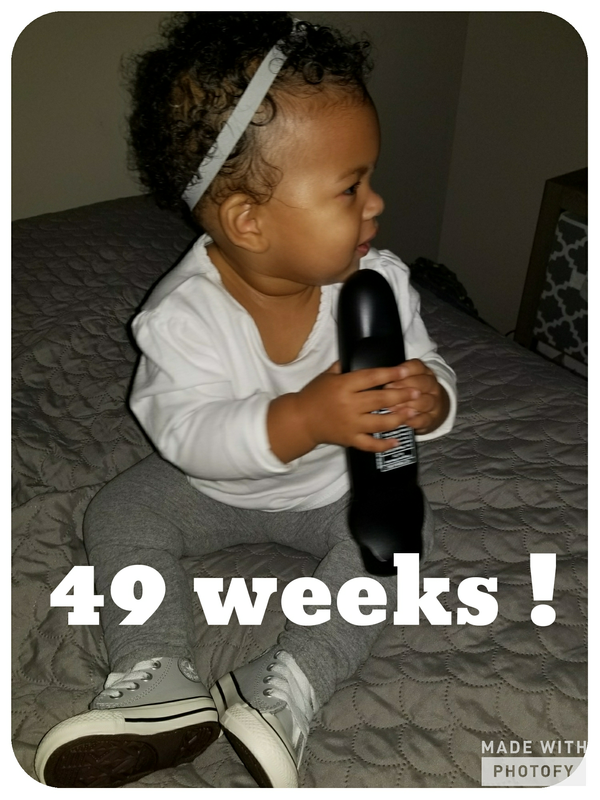 Next week she will be a year old ! I can not believe how fast time has gone by. 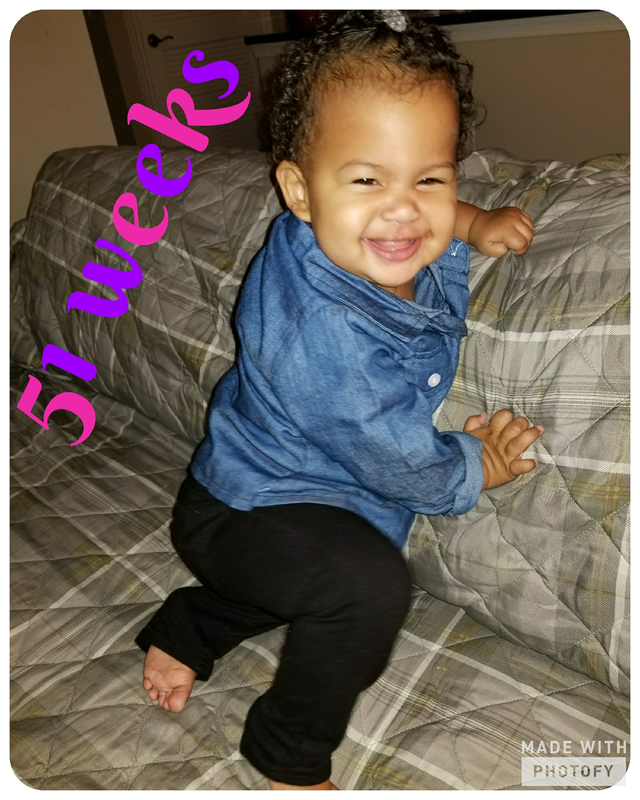 She is growing so much and developing into a sweet and highly intelligent young baby girl. 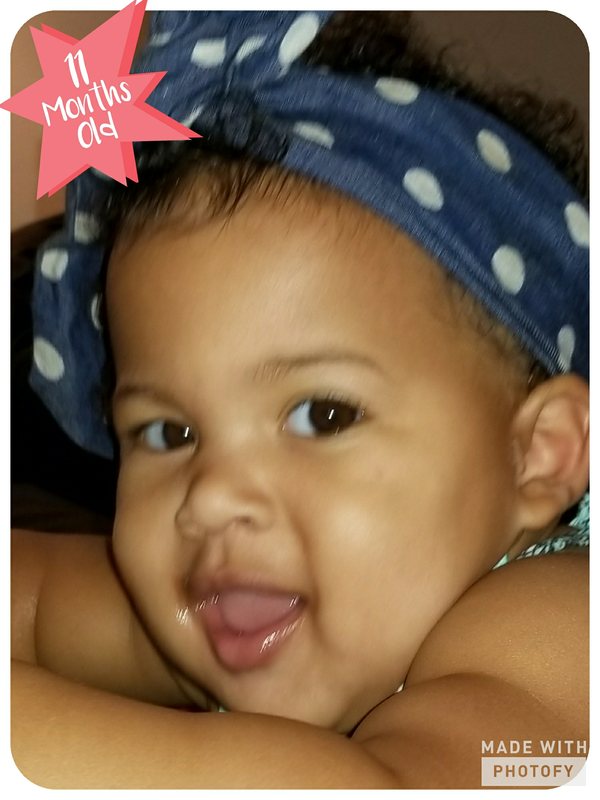 I am so blessed to be her Mommy ! 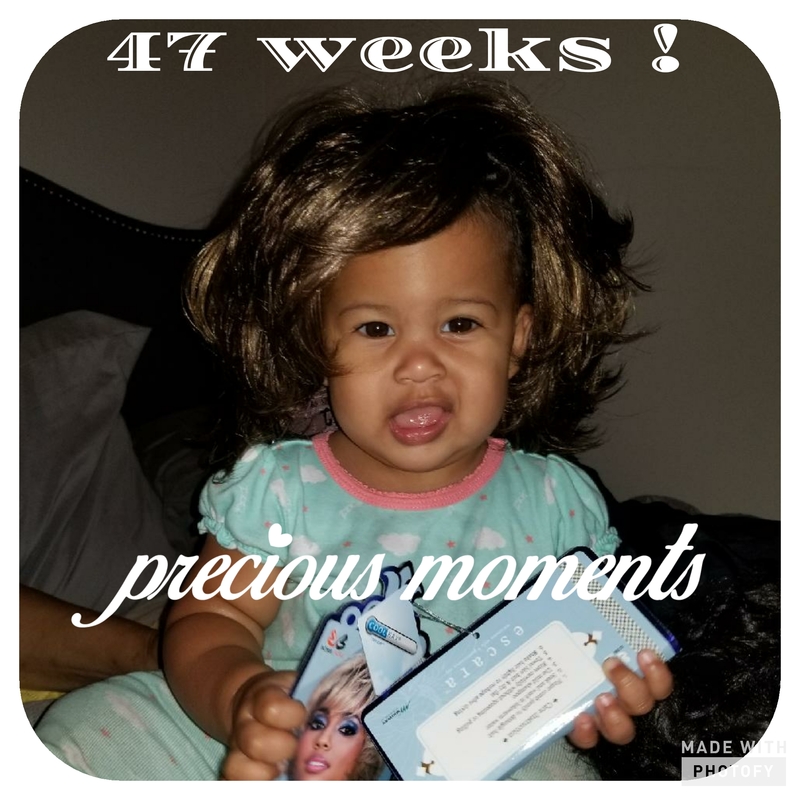 This week, baby girl had a ball being tortured with trying on Grandmom’s new wigs that came. Above, I caught her standing but she refuses to take a step when summoned. 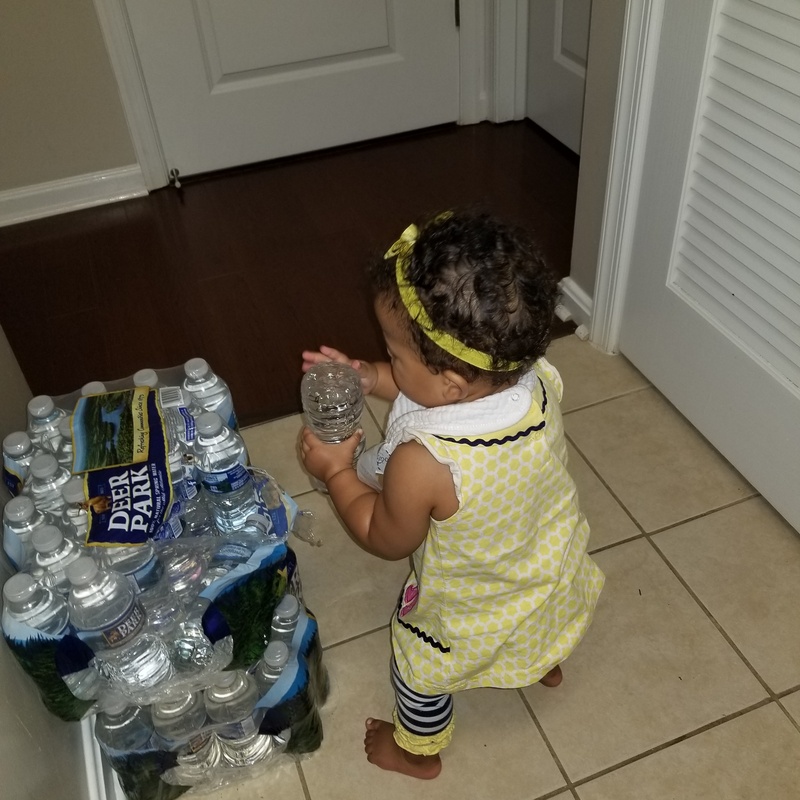 I do not think it will be long before she will be brave enough to walk unassisted. This week we celebrated the last day of radiation therapy for my mom. Now she starts infusion therapy of a new drug protocol next week. This infusion will be done every three weeks for the rest of her life. Things were looking up this week and she thought she could breathe a sigh of relief until yesterday she learned that my grandmother’s evil sisters are still targeting our family behind my grandmother. My grandmom lives with my mom’s brother now because her dementia has progressed. Her sisters were trying to get their hands on my grandmother’s money and trying to change her insurance beneficiaries to themselves. They kept accusing my mom of abusing my grandmom and once the state investigated, it was determined to be unfounded on two occasions and the investigator from the area agency on aging stated that they realized that my aunts were doing this out of malicious intent and they would not be entertaining any more complaints. Still no teeth and trying to walk ! 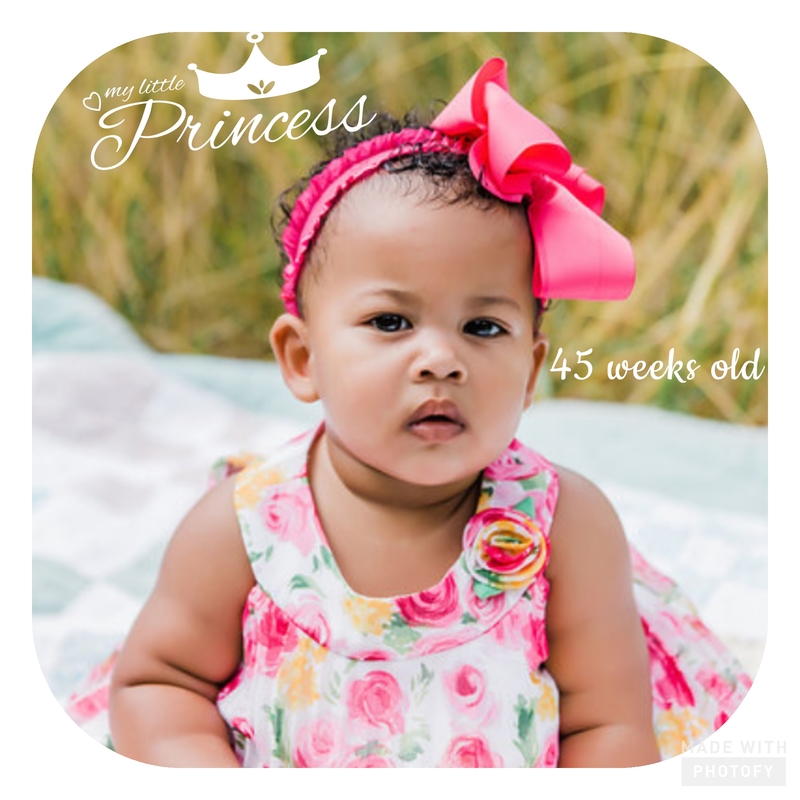 My little princess… more like a little queen is growing into a VERY headstrong and independent individual. She is learning more words, becoming a lot more vocal about what she wanta and does not want and she becomes more gorgeous day by day. I am completely and throroughly head over heels in love with this tiny human I made. She is the best thing I have ever done !